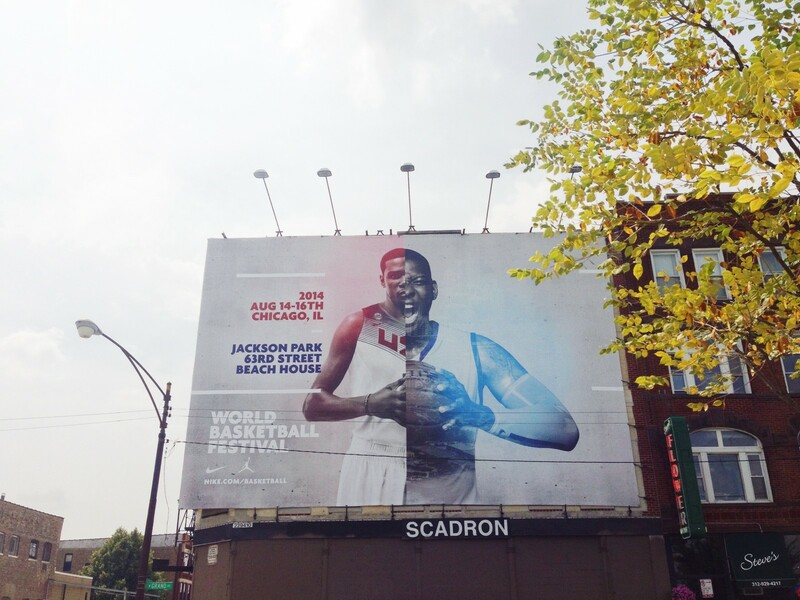 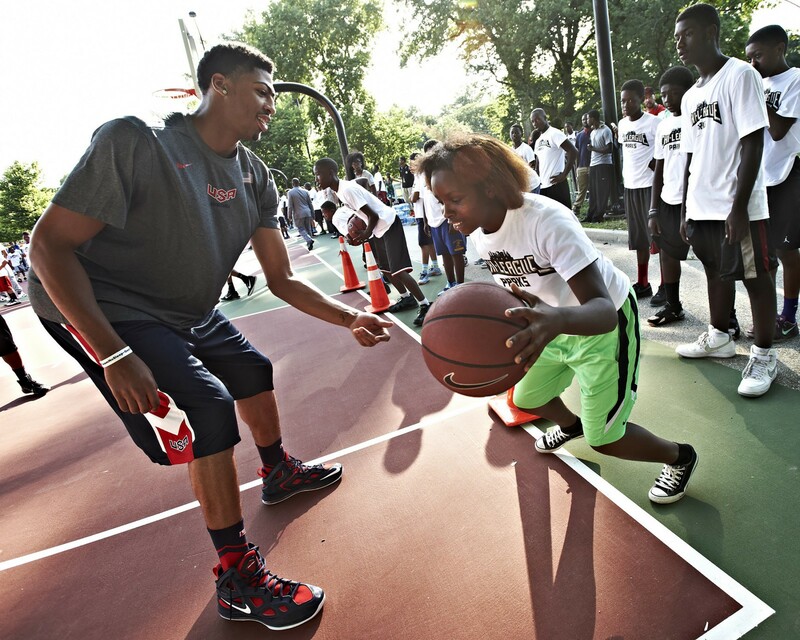 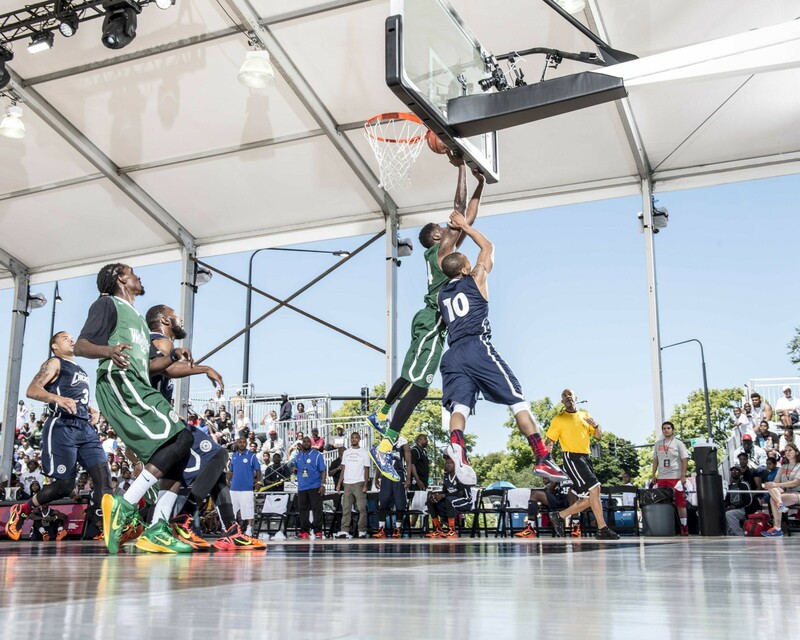 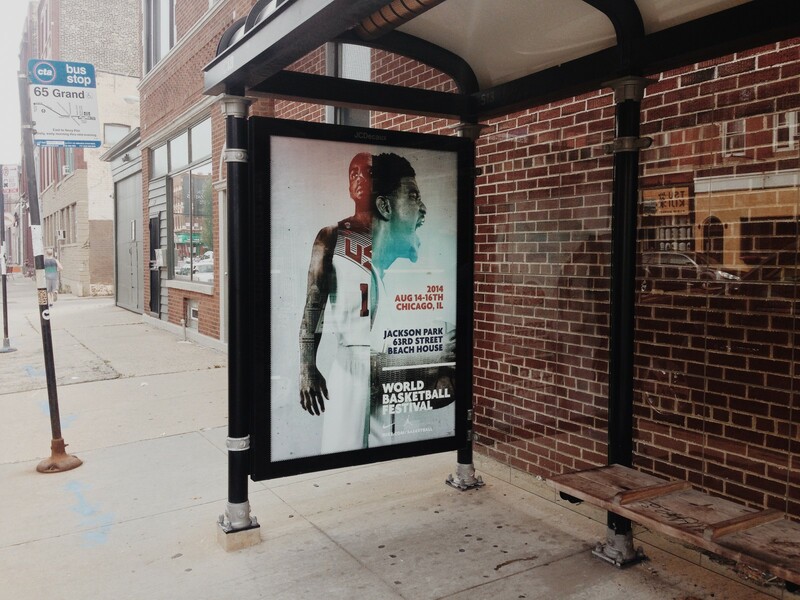 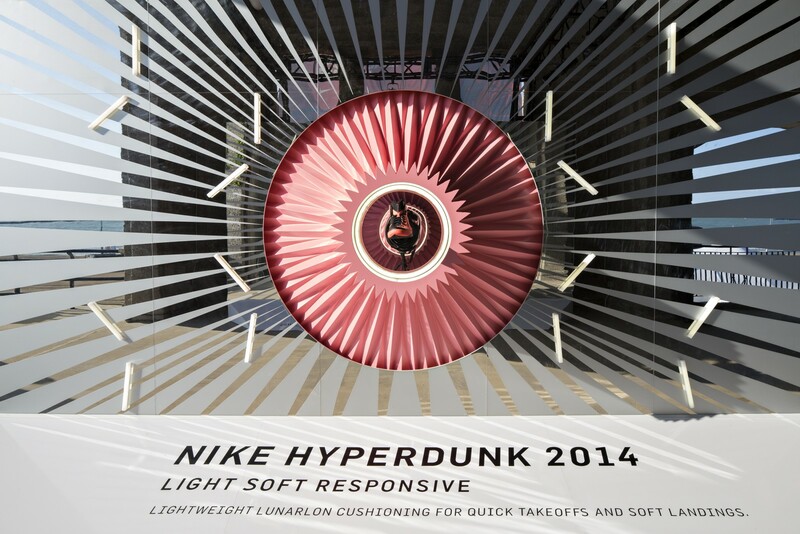 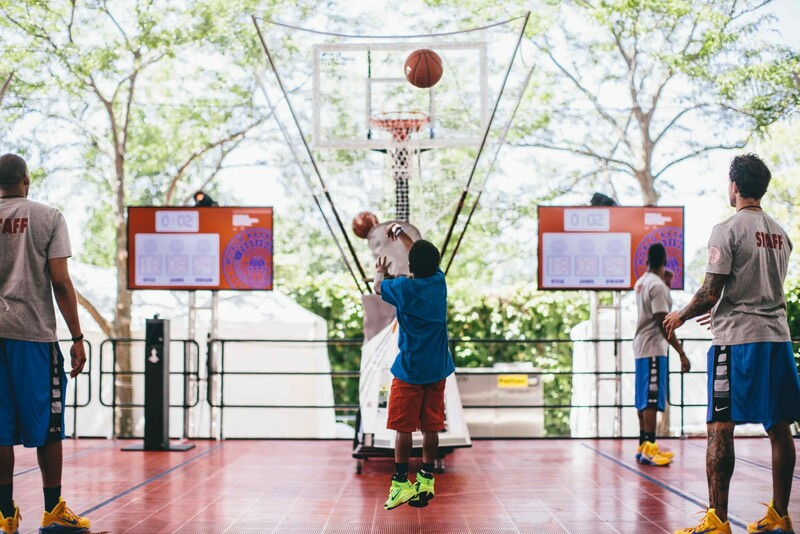 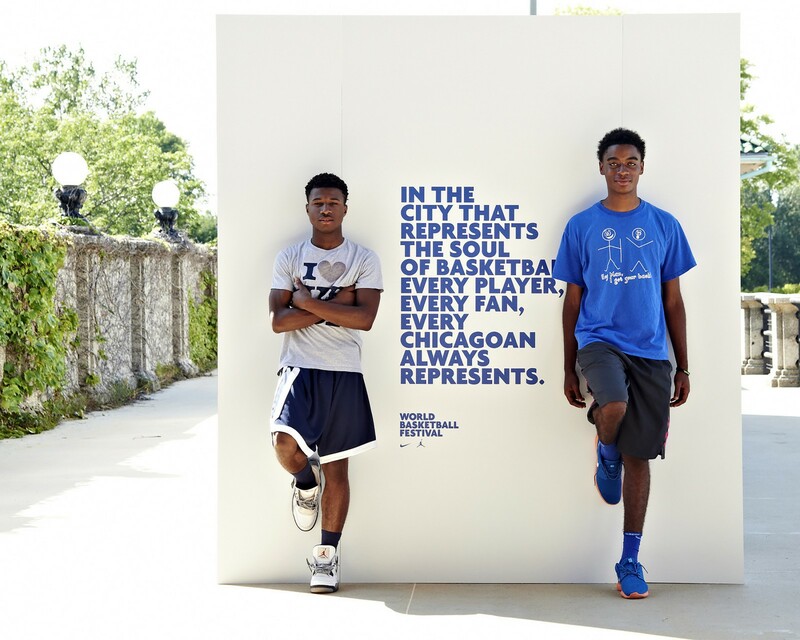 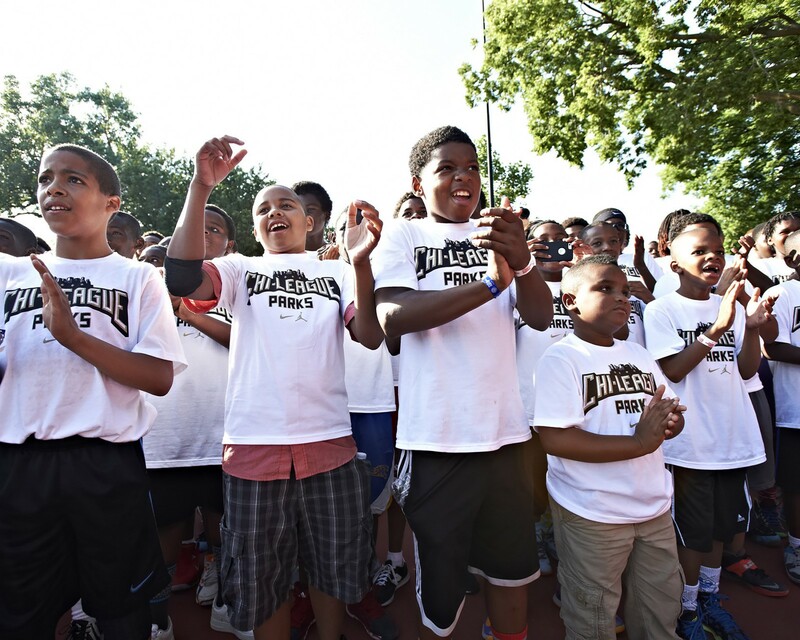 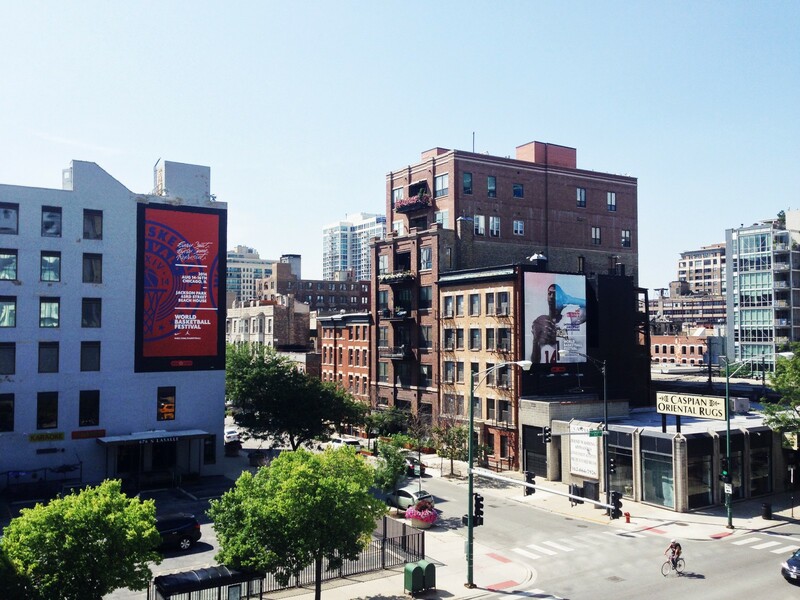 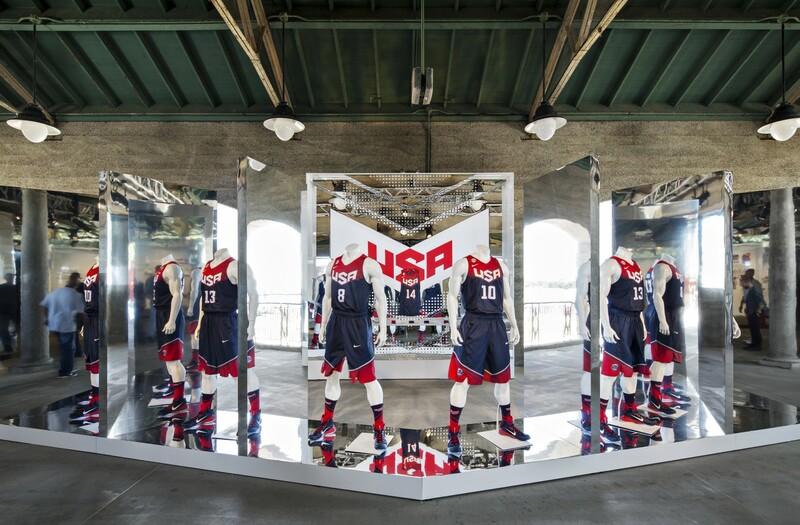 The Nike World Basketball Festival 2014, located in Chicago, hosted thousands of young basketball players and fans in one of the world’s most celebrated basketball cities. 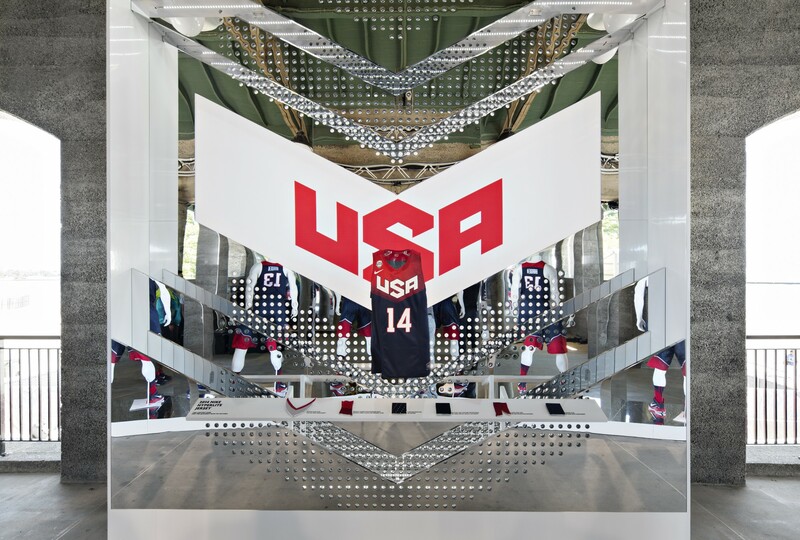 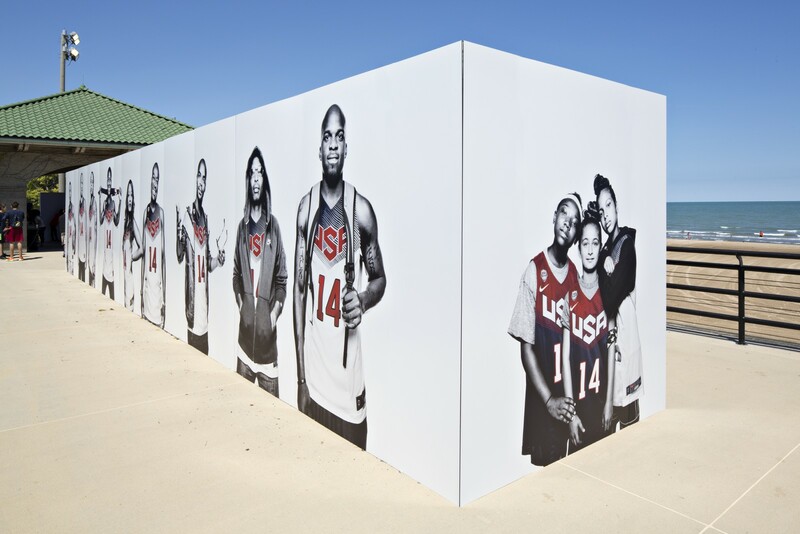 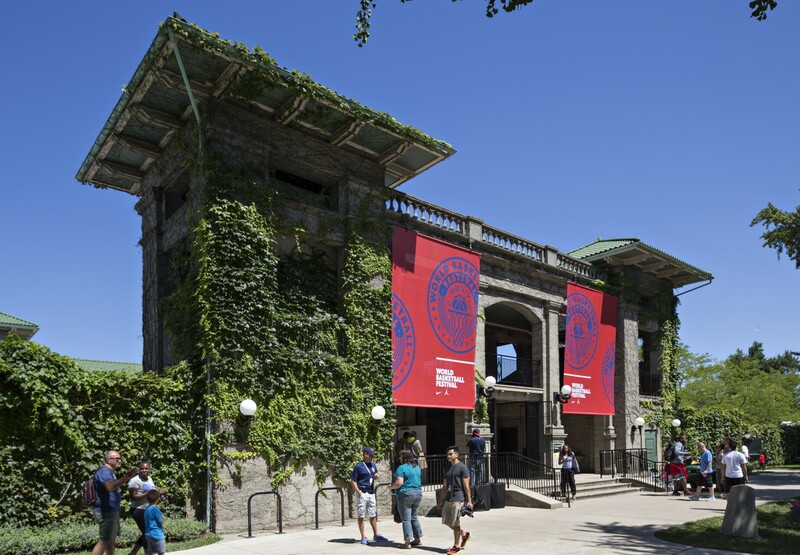 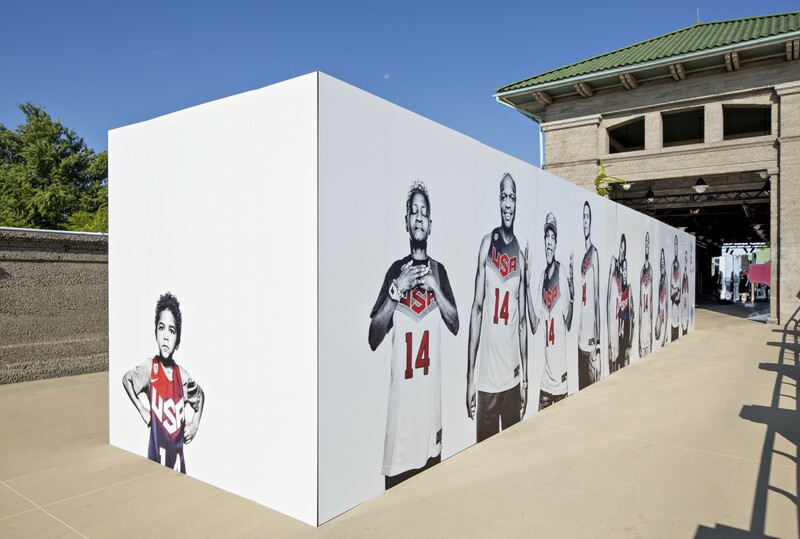 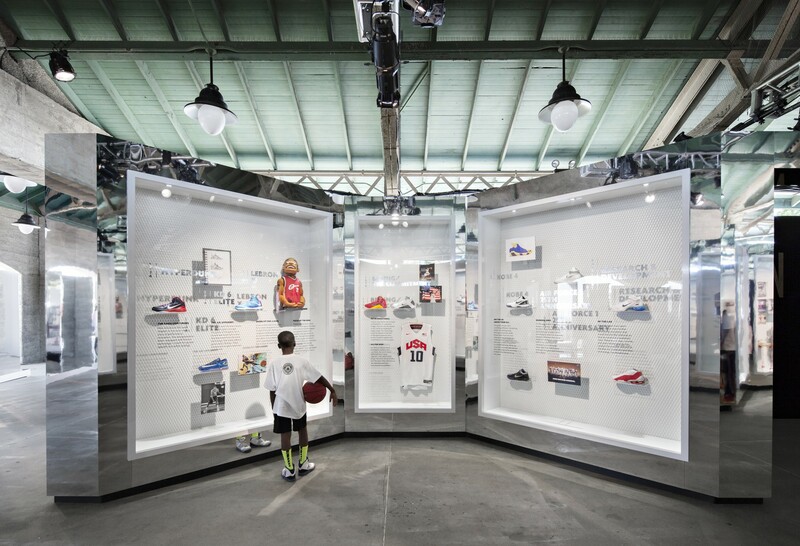 WSDIA helped express the Chicago and Nike Basketball stories through legacy/history, culture, community and innovation with a strong and memorable 18,000 sq. 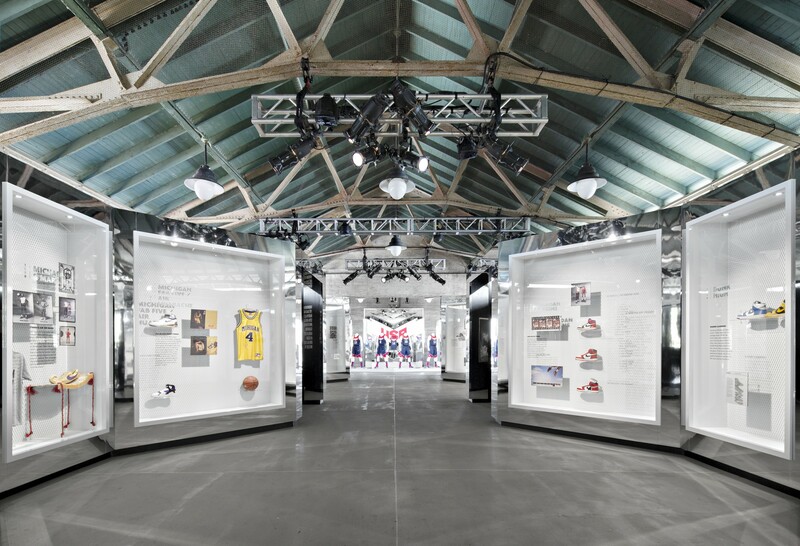 ft presentation. 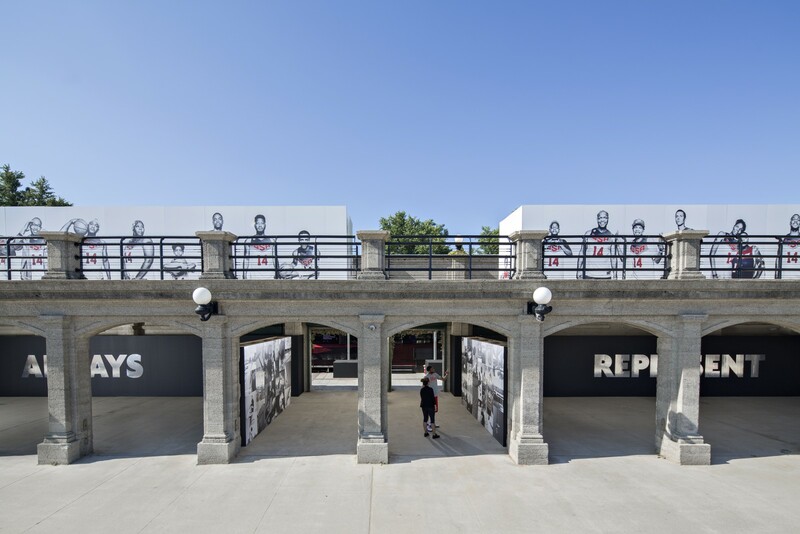 Sadly at that time, Chicago’s gun violence and murders had reached all-time highs, and Nike wanted to create a place of positivity for the city. 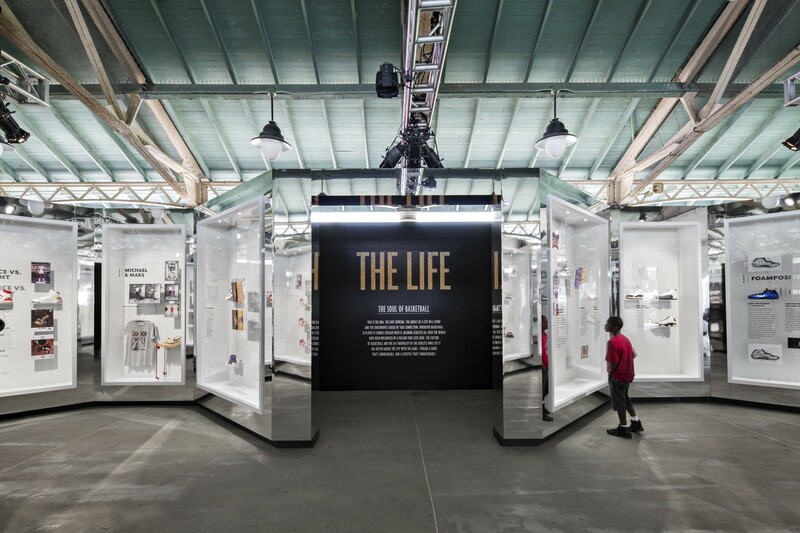 The theme of empowerment was threaded throughout using reflective materials, reinforcing the idea of constantly seeing yourself and recognizing your worth. 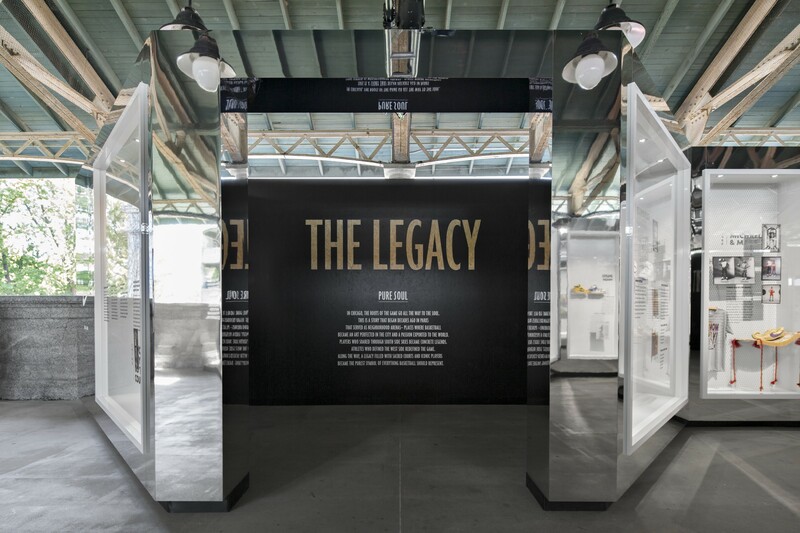 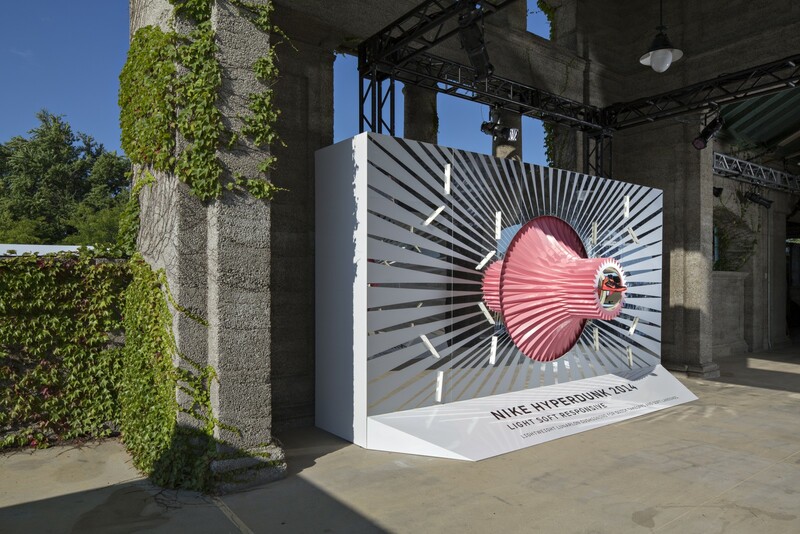 The strategy for the exhibition design was to juxtapose the existing rough, worn beach house structure with a series of highly refined and mirrored exhibition fixtures. 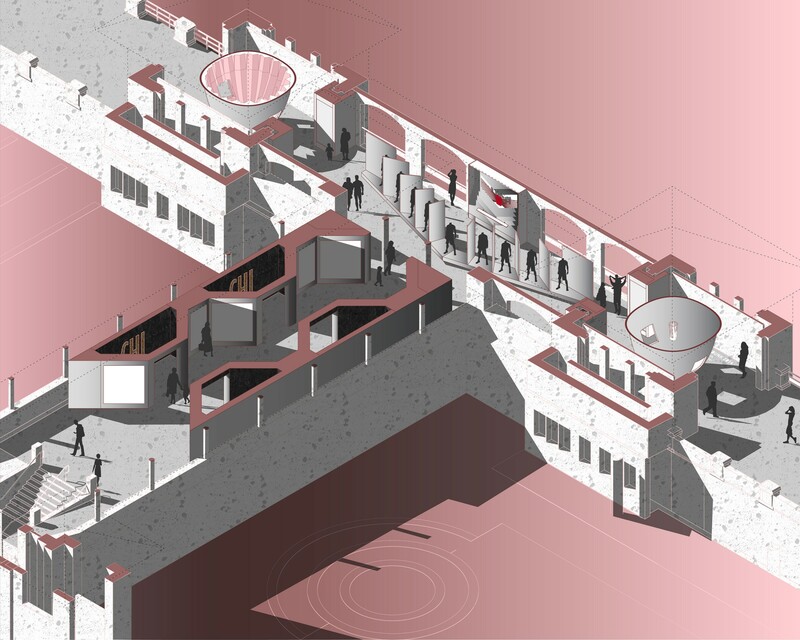 The forms of the fixtures provide a feeling of mass and gravity while reflections in the mirrors cause the fixtures to at times nearly disappear. 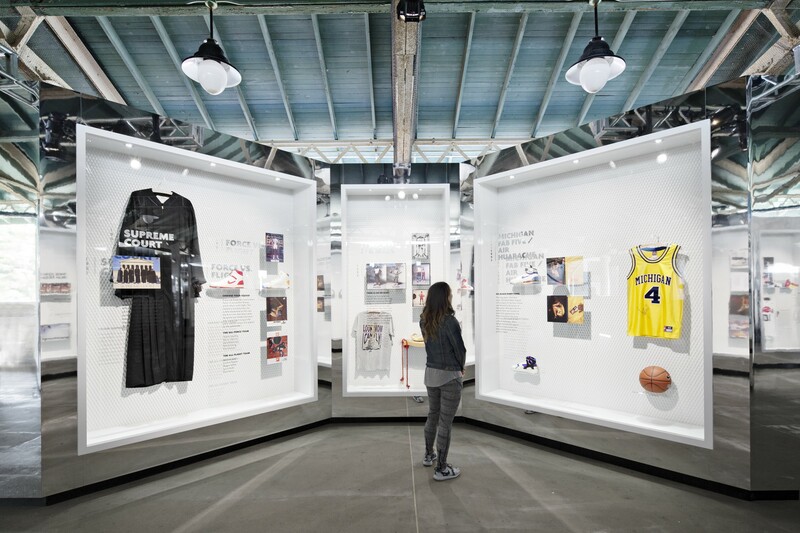 This tension between the tangible and the intangible puts the visitor in a highly charged, engaging, and memorable space.